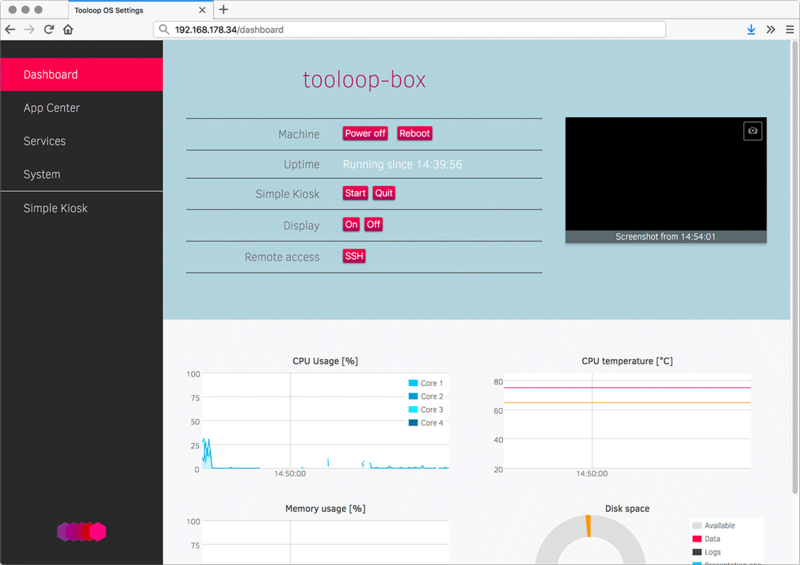 It’s the settings app of Tooloop OS and as such can be used to easily manage and configure your machine. It’s called a server, because it’s a also web application. You can open it in a browser on any machine in the network. It also has an extensive [REST API](REST API/General) so it can be integrated in other tools (think managing many boxes) in the future. It’s still lacking documentation but it provides some cool features and it also has a plugin interface so you can add controls for you own app right into the settings server. Have a look at its’ GitHub repo.